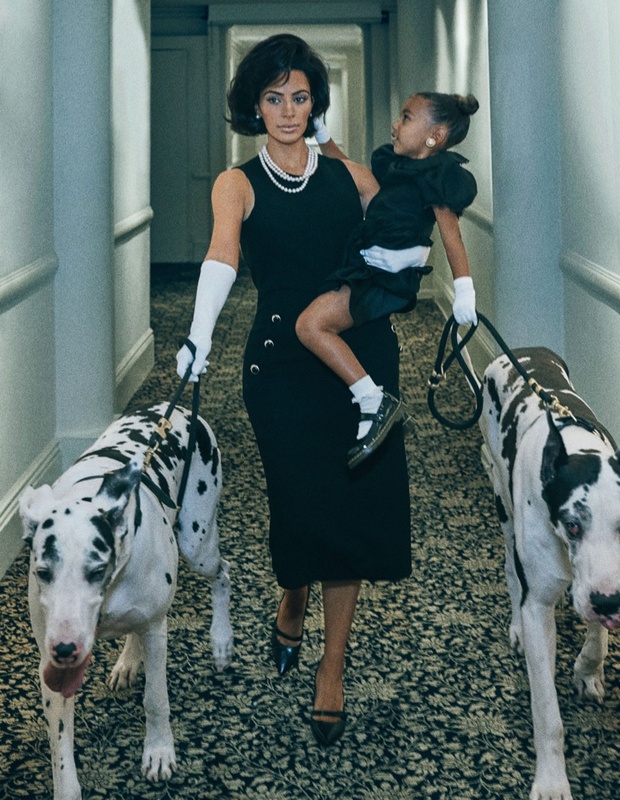 Letting go of sheer and low-cut ensembles, Kim Kardashian West goes retro for the latest cover story of Interview Magazine, and channels Jackie Kennedy. 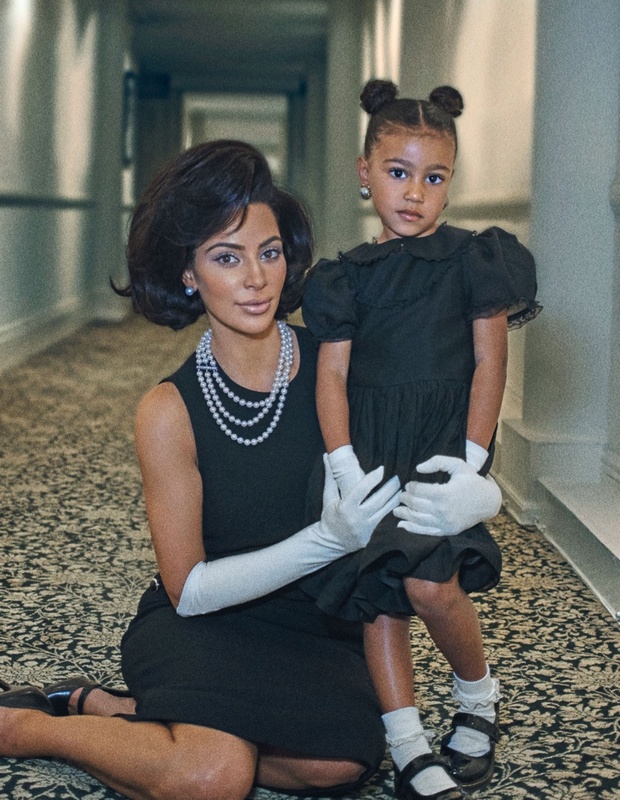 Starring as perhaps the most stylish American First Lady, Kim stars on the cover story with daughter North West, and trades in bombshell glamour for a most sophisticated and demure 60s inspired style. 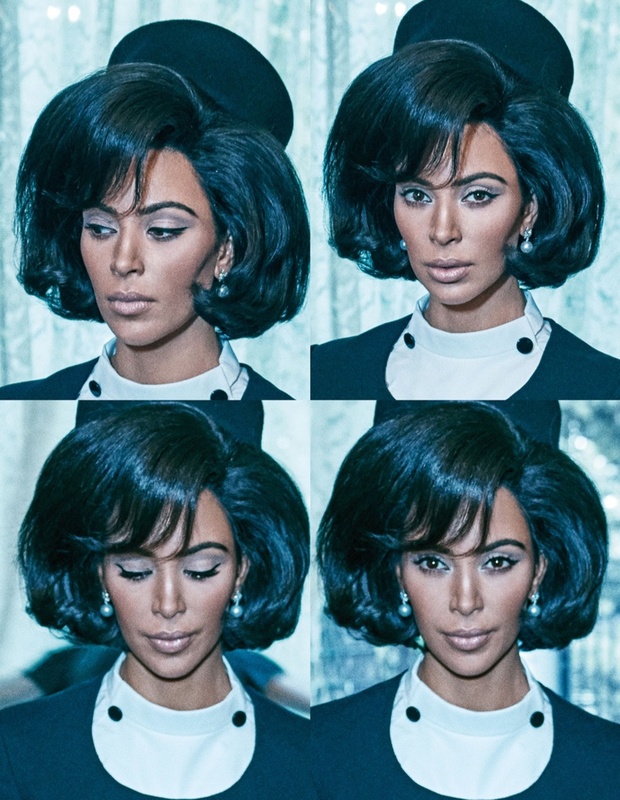 Styled by Patti Wilson, the cover story has Kim reminiscing the wardrobe of Jackie O, complete with her signature bob hairdo. Wide bright eyes, white gloves, dainty pearls and designer shades also accompany Kim's retro wardrobe, while North also wears demure pieces just like her mother. 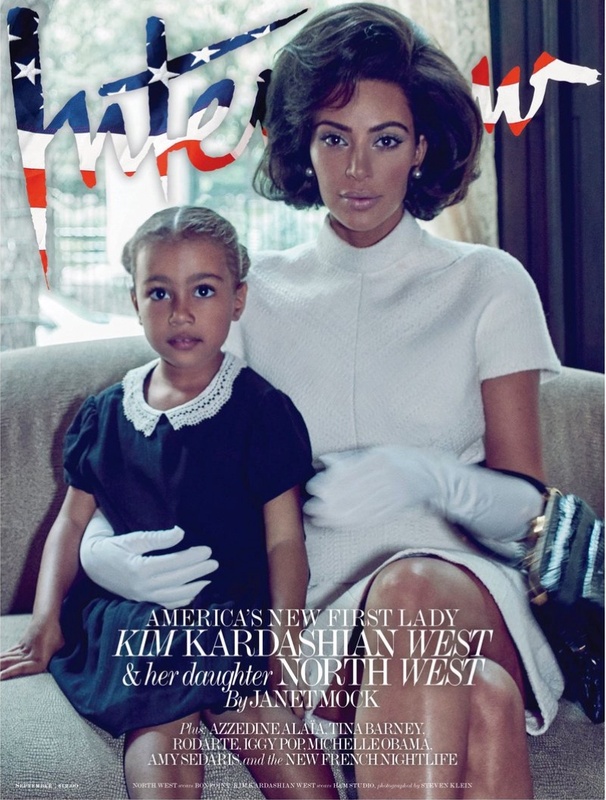 Creating quite a controversy, the cover story had the headline 'America's New First Lady', and has Kim's skintone darkened too.